Many questions remain unanswered regarding the circumstances and timeline of Monroe’s death after her body was found. 7-7:15p.m. Joe DiMaggio, after trying to get in touch with Monroe all day, speaks with Monroe about DiMaggio’s broken engagement. DiMaggio said when interviewed that Monroe sounded cheerful and upbeat. On duty with the Marines in California, DiMaggio was able to place the time of the call because he was watching the seventh inning of a Baltimore Orioles–Los Angeles Angels game being played in Baltimore. According to the game’s records the seventh inning took place between 10 and 10:15 p.m. Eastern Daylight Time; thus, Monroe received the call around 7 p.m. California time. 7:30-7:45p.m. Peter Lawford telephones Marilyn to invite her to dinner at his house, an invitation she had declined earlier that day. According to Lawford, Monroe’s speech was slurred and was becoming increasingly indecipherable. After telling him goodbye the conversation abruptly ends. Lawford tries to call her back again but receives a busy signal. Telephone records show that this is the last recorded phone call Monroe’s main line received that night. 8:00p.m. Lawford telephones Eunice Murray, spending the night in Marilyn’s guest house, on a different line asking if the maid would check in on her. After a few seconds Murray returns to the phone telling Lawford that she is fine. Unconvinced Lawford will try all night long to get in touch with Marilyn. Lawford telephones his friend and lawyer Mickey Rudin, but is advised to keep away from Monroe’s house to avoid any public embarrassment that could result from Marilyn possibly being under the influence. 10 p.m. Housekeeper Eunice Murray walks past Monroe’s door and states she saw a light on under the door but decided not to disturb her. 10:30 p.m. According to actress Natalie Trundy (later Mrs. Arthur P. Jacobs), Monroe’s agent Arthur P. Jacobs hurriedly leaves a concert at the Hollywood Bowl that he is attending with Trundy and with director Mervyn LeRoy and his wife, after being informed by Monroe’s lawyer Mickey Rudin that she has overdosed. Trundy’s timeline fits with undertaker Guy Hockett’s (see below) estimation that Monroe died sometime between 9:30 p.m. and 11:30 p.m. Midnight. Murray notices the light under the door again and knocks but gets no reply. She tells police she immediately telephoned Dr. Ralph Greenson, Monroe’s psychiatrist. Dr. Greenson arrives and tries to break open the door but fails. He looks through the French windows outside and sees Monroe lying on the bed holding the telephone and apparently dead so breaks the glass to open the locked door and checks her. He calls Dr. Hyman Engelberg. There is some speculation that an ambulance might have been summoned to Monroe’s house at this point and later dismissed. 1 a.m. Peter Lawford is informed by Mickey Rudin that Monroe is dead. Police are called and arrive shortly after 4:30 a.m. The two doctors and Murray are questioned and indicate a time of death of around 12:30 a.m.
Police note the room is extremely tidy and the bed appears to have fresh linen on it. They claim Murray was washing sheets when they arrived. Police note that the bedside table has several pill bottles but the room contains no means to wash pills down as there is no glass and the water is turned off. Monroe is known to gag on pills even when drinking to wash them down. Later a glass is found lying on the floor by the bed but police claim it was not there when the room was searched. 5:40 a.m. The undertaker, Guy Hockett, arrives and notes that the state of rigor mortis indicates a time of death between 9:30 and 11:30 p.m. The time is later altered to match the witness statements. 6 a.m. Murray changes her story and now says she went back to bed at midnight and only called Dr. Greenson when she awoke at 3 a.m. and noticed the light still on. Both doctors also change their stories and now claim Monroe died around 3:50 a.m. Police note Murray appears quite evasive and extremely vague and she would eventually change her story several times. Despite being a key witness, Murray travels to Europe and is not questioned again. The pathologist Dr. Thomas Noguchi could find no trace of capsules, powder or the typical discoloration caused by Nembutal in Monroe’s stomach or intestines indicating the drugs that killed her had not been swallowed. If Monroe had swallowed the drugs there should have been residue. If Monroe had taken them over a period of time which might account for the lack of residue she would have died long before ingesting the amount found in her bloodstream. Monroe was found lying face down but lividity on her backand the posterior aspect of the arms and legs indicated she had died lying on her back. The body was covered in bruises, all minor except for one on her hip. There was also evidence of cyanosis, an indication that death was very quick. Noguchi had asked the toxicologist for examinations of the blood, liver, kidneys, stomach, urine, and intestines which would have revealed exactly how the drugs got into Monroe’s system. However the toxicologist after examining the blood didn’t believe he needed to check other organs so many of the organs were destroyed without being examined. When Noguchi asked for the samples, the medical photographs and slides of those that were examined, and the examination form showing bruises on the body had disappeared making it impossible to investigate the cause of death. Monroe died from a suicide that resulted from her feelings of unhappiness. I wish she had found true meaning in life, but instead she was on a constant search for satisfaction. She never found what she was looking for. A rare TV documentary with audio clips from Marilyn’s last interview only weeks before her death in 1962. Harry Smith spoke with Rep. Michele Bachmann (R-MN), Rep. Debbie Wasserman Schultz (D-FL), Rep. Anthony Weiner (D-NY), and Rep. elect Mike Kelly (R-PA) on how, with a shift in power, will congress set aside disagreements and work together to solve such issues as deficit reduction, job creation, and turning the economy around. WASHINGTON – House Republicans dealt defeat to their own proposal for a $2.4 trillion increase in the nation’s debt limit Tuesday, a political gambit designed to reinforce a demand for spending cuts to accompany any increase in government borrowing. The vote was lopsided, with just 97 in favor of the measure and 318 against. House Democrats accused the GOP of political demagoguery, while the Obama administration maneuvered to avoid taking sides — or giving offense to majority Republicans. The debate was brief, occasionally impassioned and set a standard of sorts for public theater, particularly at a time when private negotiations continue among the administration and key lawmakers on the deficit cuts Republicans have demanded. The bill “will and must fail,” said Rep. Dave Camp, R-Mich., the House Ways and Means Committee chairman who noted he had helped write the very measure he was criticizing. “I consider defeating an unconditional increase to be a success, because it sends a clear and critical message that the Congress has finally recognized we must immediately begin to rein in America’s affection for deficit spending,” he said. He and other Democrats added that Republicans were attempting to draw attention away from their controversial plan to turn Medicare into a program in which seniors purchase private insurance coverage. The proceedings occurred roughly two months before the date Treasury Secretary Tim Geithner has said the debt limit must be raised. If no action is taken by Aug. 2, he has warned, the government could default on its obligations and risk turmoil that might plunge the nation into another recession or even an economic depression. Republicans, who are scheduled to meet with Obama at the White House on Wednesday, signaled in advance that the debt limit vote did not portend a final refusal to grant an increase. The roll call vote was held late in the day, and there was little, if any discernible impact on Wall Street, where major exchanges showed gains for the day. At the same time, it satisfied what GOP officials said was a desire among the rank and file to vote against unpopular legislation the leadership has said eventually must pass in some form. Republicans said they were offering legislation Obama and more than 100 Democratic lawmakers had sought. But Rep. Steny Hoyer of Maryland, the second-ranking Democrat, accused the GOP of staging a “demagogic vote” at a time lawmakers should work together to avoid a financial default. All 97 votes in favor of the measure were cast by Democrats, totaling less than a majority and far under the two-thirds support needed for passage. For its part, the administration appeared eager to avoid criticizing Republicans. “It’s fine, it’s fine,” presidential press secretary Jay Carney said when asked about the Republican decision to tie spending cuts with more borrowing. “We believe they should not be linked because there is no alternative that’s acceptable to raising the debt ceiling. But we’re committed to reducing the deficit,” Carney said. The government has already reached the limit of its borrowing authority, $14.3 trillion, and the Treasury is using a series of extraordinary maneuvers to meet financial obligations. By no longer would making investments in two big pension funds for federal workers and beginning to withdraw current investments, for example, the Treasury created $214 billion in additional borrowing headroom. At the same time, the Obama administration and congressional leaders are at work trying to produce a deficit-reduction agreement in excess of $1 trillion to meet Republican demands for spending cuts. Political maneuvering on legislation to raise the debt limit has become common in recent years, as federal deficits have soared and presidents of both political parties have been forced to seek authority to borrow additional trillions of dollars. Because such legislation is unpopular with voters, presidents generally look to lawmakers from their own political party to provide the votes needed for passage. In the current case, though, Republicans control the House, and without at least some support from them, Obama’s request for a debt-limit increase would fail. However, House Speaker John Boehner, R-Ohio, announced months ago that he would demand spending cuts as a condition for passage. Some say the world will end in fire and some say in ice. But in Washington, a lot of people say it will end if we don’t continually raise the debt ceiling. The statutory debt limit, or debt ceiling, represents the maximum amount of debt the federal government can carry at any given time. The limit was created in 1917 so that Congress wouldn’t have to vote every time the government wanted to increase the amount of debt (which was becoming a more and more frequent occasion). Since then, the Treasury Department has had the authority to issue new debt up to whatever the limit is to fund government needs. Last year, the limit was raised to $14.3 trillion, an amount that is about to reached. The first thing I intend to do is join the tea party. Then I’m going to refuse to raise my debt limit. Then I’m going to call the Visa people. “Y’all have me down here owing $6,000,” I’m going to say. “But I’ve become a fiscal conservative. I’m getting really disciplined fiscally. I’m taking my household back. “My self-imposed debt ceiling is $4,000. I’ve opted not to raise it. Nary a cent. I only went over it because the oral surgeon demanded immediate payment. “So $4,000 is the most you rascals will get out of me. You may as well quit compounding the interest on this outstanding balance. I am serious about this. You may consider this baby capped at four grand. “Oh, by the way: Don’t even think about canceling this card. I have a second round of dental work coming up and the oral surgeon doesn’t give these implants away. You are thinking this is absurd. You are right, of course. But you are not intellectually entitled to call it absurd if you are among the seven in 10 Americans telling pollsters you don’t want the federal government’s debt ceiling raised. You are not intellectually entitled if you are one of these right-wing politicians pandering to this tea-drunken grandstand by threatening to vote not to raise it. Here is how real fiscal responsibility works: You repay the debt that you have incurred to date. You make spending reductions prospectively by showing sufficient discipline to reduce the future pace at which you incur debt. You dare not let your existing debt go unpaid lest your credit score suffer and you get denied the next time you find yourself in a bit of a pinch and need to finance a refrigerator at Sears. Michael Tanner made some great observations in his article “Debt-Ceiling Myths,” National Review Online, May 11, 2011. Now that Osama bin Laden has been successfully dispatched to the eternal damnation he so richly deserves, Washington is ready to return to the more mundane question of whether the Obama administration will be allowed to spend this country into oblivion. 4. This is not about future spending. The administration insists that raising the debt ceiling is just about paying for spending that’s already occurred. Not quite. Depending on how high it is raised, it may be about paying only for spending that is already authorized — or much more. Authorized and spent are not the same thing. There is nothing wrong with forcing government not to spend money that it had planned on spending. Moreover, Tim Geithner is reportedly calling for an increase in the debt ceiling big enough to last through the 2012 election, which would enable a lot of new spending. Today the debate is over the 9th best player of all time. Wilson: Zico- Although he never won the World Cup, he still led the Brazilian team to many great victories. He is one of the all time greats. Everette: I have to go with Landon Donovan because he is the best player in the history of the USA!!! The top ten soccer players of all time should be based on greatness, popularity, impact and accomplishments. In the world today, determining the top soccer players is a hard task to accomplish. Such is the range of talented soccer players from almost every corners of the world, that it is very difficult to conclude who are the elite among the elite. With the rich history of soccer, there have been the all-time greats who usually ring a bell when their names are mentioned. Our number ten occupied with Ronaldo of Brazil. And number nine falls to Ferenc Puskas, this qualifies him due to his astonishing record. He recorded 83 goals out of 84 internationals while playing for Hungary. He is considered as one of the all-time best strikers in history. Number eight goes to Stanley Matthews. His career spanned for 33 years leaving a remarkable impact on the sport and showcasing his shear greatness. And Bobby Charlton takes the seventh spot. His stint for English team Manchester United earned England’s first championship in a European Cup. The other players’ reputations speak for themselves. Number six falls to Eusebio and number five Johan Cruyff. Number four, Lev Yashin and third with Franz Beckenbauer and number two deservingly goes to Diego Maradona. Last but not the least Pele at number one the most popular soccer player ever. Pele not only showed his stuff on the field but off it as well. He helped the sport grow to what it is today and that is saying a lot about all the accomplishments of this guy. He has become a constant ambassador of the sport and never wavered supporting it, even assisting it grow to greater heights. Pele’s undaunted greatness set him in a plateau that only he has reached. Though her contract with Columbia wouldn’t last, Monroe continued to work with the drama coach the studio hired for her training, Natasha Lytess, until 1955 (by which time, of course, Marilyn was a giant star). The lessons photographed by Eyerman show Lytess trying to coax her young student into several different moods. Marilyn may not have been able to put all of them across, but there was no denying her sheer exuberance, as illustrated in the following several slides and LIFE contributor McKinney’s cheeky notes. Oh angry Avril Lavigne, it’s like we’re in 2002 again, back when you had your wee little ties and Manic Panic-streaked hair and zip-up hoodies…okay, well, maybe not that much has changed since then. That being said, unlike the actions of the skate-pop princess a decade ago, Avril Lavigne swearing at a Tampa Devil Rays game this Saturday was immediately followed by an apology, rather than a lot of silent eye-rolling and heaving sighs like we would have expected. After the crowd started to boo Lavigne during a break caused by a technical difficulty, Avril snarled that such things “f–king happen on a baseball field.” Avril then slammed every door in Tropicana Stadium and screamed for her mom to get out of her room already. On Sunday, the Rays chided Lavigne’s potty-mouth, saying “The Rays demand profanity-free performances from all of our concert performers and we are extremely disappointed by the language used in last night’s show.” Later Avril apologized for the profanity to the crowd, explaining, “We just had so much fun tonight and we want to take the tirade out and say thank you to the Tampa Bay Rays! I’m truly sorry if anyone was offended by my language.” Avril then purchased everything in an entire Hot Topic, because girlfriend isn’t that mature. 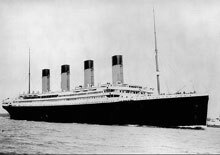 History of the Titanic – The history of Titanic has endured for nearly a century. Find out more about the most fascinating ship and shipwreck in the world and how the tragedy of the ship continues to affect us today. April 15, 1912, The Sinking of the Titanic – When the Titanic embarked on her maiden voyage the world was filled with hope and awe. In just a few short days those emotions turned to horror and grief. Find out what really happened that day in 1912: the sinking of the Titanic. Titanic Ship – While the Titanic ship initially earned fame as the largest luxury liner on the open seas, she would obtain enduring distinction for the tragedy that took the ship to her watery grave. Return to the Titanic and discover the surprising facts that led to the ship’s destruction from the moment she set sail. Titanic Facts – It has been almost 100 years since the Titanic sank. During that time a number of myths and legends have grown up around the sinking of the now infamous ship. Take a few moments to read about some of the more interesting and true Titanic facts. Titanic Movie -The 1997 release of ‘Titanic’ renewed the world’s interest in a bygone era and the fate of the Titanic’s maiden voyage. Find out more about the Titanic movie that captured the world’s interest and won a ton of Academy Awards. Titanic Pictures – For years the world pondered what the ‘ship of dreams’ might have really looked like and wondered if any part of the ship still remained to be seen somewhere below the icy depths of the Atlantic Ocean. In 1985 the first pictures of the wreck were taken. Immerse yourself in pictures of the Titanic‘s grave and find out what role those pictures have made in discovering the truth about the ship’s tragic end. Titanic Construction – The White Star Line billed the Titanic as ‘unsinkable’ months before the ship ever embarked on her maiden voyage. Her construction was reputed to have been the best of the best. So, why did she sink and did the ship’s construction have anything to do with the tragedy? Titanic Manifest – The manifest of the maiden, and only, voyage of the Titanic provides a fascinating look into life aboard the famous luxury liner during her brief few days at sea. Find out why the Titanic was called ‘the ship of dreams’. Titanic Wreck – Following the sinking of the Titanic in 1912, various groups and individuals searched for the Titanic wreck for decades. Many had started to believe the ship’s grave would never be found. Become immersed in the search for the Titanic wreck. Titanic Artifacts – The artifacts recovered from the Titanic wreck are a sad reminder of what happened that April morning of 1912. Menus, clothes, jewelry, bottles of wine, letters from passengers on the Titanic, etc. were salvaged from the depths of the ocean and put on display in museums and exhibits or auctioned. TMZ reported: According to local reports, Avril’s mic didn’t work at the start of her show … and she responded to the cavalcade of boos by yelling obscenities at crowd. Calls to Lavigne’s rep were not returned. My former pastor Adrian Rogers used to call cursing the fool’s sin because you get nothing out of it. As there is no temptation to it, so there is no pleasure or profit to be reaped from the commission of it. Ask the drunkard why he rises up early to follow strong drink, and he will tell you, because it affords his sensual appetite some kind of pleasure and gratification, though it be no higher than that of a brute. Inquire of the covetous worldling, why he defrauds and over-reaches his neighbor, and he has an answer ready; to enrich himself, and lay up goods for many years. But it must certainly puzzle the profane swearer himself, to inform you what pleasure he reaps from swearing: for alas! it is a fruitless tasteless thing that he sells his soul for. But indeed he does not sell it at all: in this case he prodigally gives it away (without repentance) to the devil; and parts with a blessed eternity, and runs into everlasting torment, merely for nothing. Avril Lavigne’s song “I’m with you” was a song that I really got a lot of when it first came out. It seemed to me to be a song that was searching for a greater meaning in life. Avril has been searching and trying to find out how to figure out life, but she will not find meaning “under the sun.” She must look above the sun and bring God back into the picture. I further recommend that Avril Lavigne and others in the Tampa Bay area check out Idlewild Baptist where Ken Whitten is pastor. During a fiscal summit sponsored by the Pete Peterson foundation Wednesday, Gwen Ifill talked to former President Bill Clinton about the economy, politics and foreign policy. Ryan, who spoke after Clinton at the summit, wasn’t asked directly about the New York race. But he did accuse Democrats of trying to use Medicare to scare seniors. “Democrats are shamelessly demagoging and distorting this,” Ryan said. “Trying to scare seniors and (making) these things as political weapons creates political paralysis,” he said. Clinton also weighed in on the most pressing fiscal issue facing policymakers: the debt ceiling. Treasury Secretary Timothy Geithner has said the ceiling, a cap on total federal government debt, must be raised by Aug. 2 to prevent the country from defaulting on its bonds. The former president said President Obama should consider giving a national address to educate American voters about the consequences of a failure to raise it in time. “They never lived through it; nobody knows what will happen,” Clinton said. Clinton warned that political leaders “can’t be paralyzed,” and that they must find a bipartisan way to raise the debt limit, even if it’s unpopular. “A lot of the most important things I did were unpopular,” Clinton said. 1. Failure to pass means defaulting on our debts. If there has been consistent message from the White House, it that the United States can’t afford to “default on our debts.” That is almost certainly true. However, refusing to raise the debt limit does not mean defaulting on our debts. The U.S. Treasury currently takes in more than enough revenue to pay both the interest and the principal on the debts we currently owe. And if the Obama administration is truly worried about whether it will do so, then it should urge Congress to pass the legislation proposed by Sen. Pat Toomey (R., Pa.) requiring the Treasury Department to pay those bills first. It is true that, once we had paid our debt-service bills, there wouldn’t be enough money left over to pay for everything else the Obama administration wants to spend money on. The government would have to prioritize its expenditures — sending out checks for the troops’ pay and Social Security first. Other spending would have to wait. Treasury Secretary Tim Geithner says that not spending money Congress has appropriated is “the same as default.” It is not. It is economizing, which is what you do when you are out of money. Mike Pence and the Republicans should hold the Democrats’ feet to the fire. Prince William and Kate moved in together about a year ago. In this clip above the commentator suggested that maybe Prince Charles and Princess Diana would not have divorced if they had lived together before marriage. Actually Diana was a virgin, and it was Charles’ uncle (Louis Mountbatten) that gave him the advice that he should seek to marry a virgin. 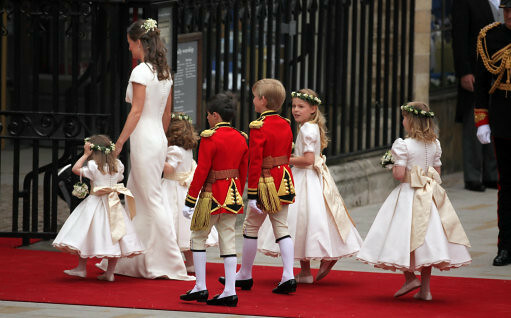 I really do wish Kate and William success in their marriage. I hope they truly are committed to each other, and if they are then the result will be a marriage that lasts their whole lifetime. Nevertheless, I do not think it is best to live together before marriage like they did, and I writing this series to help couples see how best to prepare for marriage. This is part 3 of 3 of Governor Mitt Romney’s speech on his Mormon Faith and Politics at the George HW Bush Presidential Library in Texas. In the current field of candidates, is Mitt Romney the best person qualified to be President, of the United States? I would answer no for several reasons beginning with his flip, flop, flip again inconsistency and political expediency. However others may disagree with me and trust Romney and look to his money and say he is our man and is our best candidate. I think Christians can size those things up in different ways. I am thankful that many, many, Evangelicals are waking up to the idea that Huckabee can win and the poll numbers have shown a mega-shift to Huckabee in recent weeks. I believe Mitt is not the best candidate and he is no more electable than Huckabee anymore. However, I do not think the above questions are the only questions for me as an Evangelical that I should be asking. If I am asking myself, would Romney be an okay President?, then I might support him but there are real concerns and some risk. You know, the flip, flop, flip, again stuff really does concern me. But there are several other questions that I think Evangelicals should ask before supporting Romney for President or any other Mormon for that high office. #7 Do I believe that voting for a Mormon who prays to a false god and a counterfeit Christ, would have any access through prayer to the true God, and do I think prayer matters? I do not believe that a Mormon praying to his god for help or wisdom has any hope for an answer to his prayer. I do think answered prayer matters. To say that answered prayer doesn’t matter is another way of saying that God Himself doesn’t matter. That a President by his own wisdom can make decisions and not be in need of Divine help. This idea is unacceptable to me as well. It is true that we have had Presidents who were lost and did not have their prayers for wisdom and help answered either. This is not to fail to acknowledge that the true God could answer the people’s prayers for their President. But it seems if we can choose between someone who prays to the right God and someone who prays to a false god that cannot hear, we would be wise to choose someone who can pray to the true God and get wisdom and help in time of need. We also must remember that not everyone who claims to be a Christian really is even if they go to a Baptist Church. But if we can see fruit in someone’s life who is a respectable Christian with a biblical worldview, I would think that he would be a far better choice than anyone else who has no hope of God hearing their prayers unless they themselves repent and get saved first. So I again could not vote for a Mormon. These are the questions that I ask myself. They are not the same set of questions that many are asking. It is a different matter than asking if I think Romney would make an okay President. I think that the questions that I have set forth are very, very, important and should be considered by all Christians before voting for a Mormon for President. Non-Christians and others who do not share my views regarding the values of souls, the reality of heaven and hell, and that do not agree that Mormonism is a false and deceptive cult, will likely dismiss my questions as irrelevant. There will be those in our post-modern era who will attempt to address my remarks as bigoted and intolerant because they reject absolute truth. There will be some Christians I feel who will wilt under the peer pressure of the politically correct culture and dismiss my questions as well. I can testify that as a guest writer on other blogs, that people will call you a bigot and say mean things if you take a stand and actually have the gall to say that you can’t vote for a Mormon for President because of his religion. Our tolerant society is not so tolerant of people with religious convictions. But for Evangelical Christians who live thoughtfully by their convictions, I address these questions to you for your consideration. Would you answer the seven questions that I have raised with the same answers as I have? If so, I think we have reached agreement. If not, at least we can understand each other. For me, I cannot in good conscience vote for a Mormon for President. The implications and ramifications are just too high spiritually. Out of conviction, as a loyal Republican who wouldn’t vote for Hillary for anything, I still would not vote for Mitt Romney if he won the nomination and were running against Hillary. I would vote independent, third-party, or not cast a vote. That is how strong I feel about not voting for a Mormon for President. There are even more reason based in their theology and the belief of some Mormons that Mitt could be the beginning of fulfilled prophecy and that the kingdom will be ruled from Missouri. I have had one Mormon respond to a blog I wrote and said that Mitt will become President according these ideas and that I and nobody else could stop it. Huckabee Ask, Does Mormonism Teach That Jesus and the Devil Are Brothers?